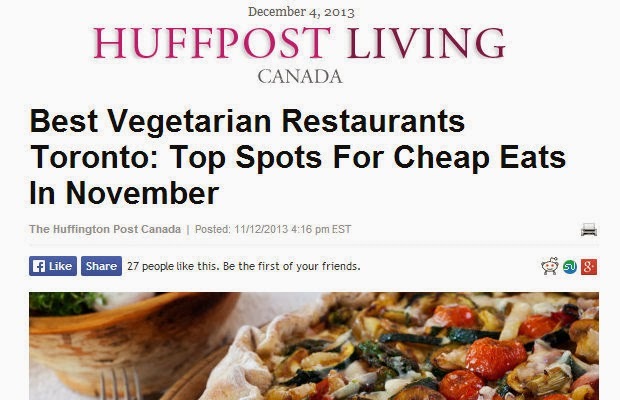 Our Govinda's Restaurant Featured on Some Toronto Websites! Yippee!!! ~ The Toronto Hare Krishna Temple! 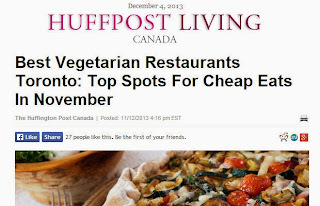 Our Govinda's Restaurant Featured on Some Toronto Websites! Yippee!!! As many devotees in our Toronto Hare Krishna community know, our temple restaurant, Govinda's, has been going through a dynamic overhaul over the last few years. The ambiance and atmosphere in the hall has been transformed, careful thought is now being put into our menus, and the public is responding by coming in great numbers! We recently came upon two websites which featured Govinda's in their reviews of vegetarian restaurants in the city! Check it out!